Im Rundbrief 112/113 (Febr./März/Apr. 14) des Film & Medienbüro Niedersachsen wurde von Willi Karow das Rundgangsprogramm 2013 der Filmklasse von Prof. Michael Brynntrup besprochen – also auch MimiMimikry. 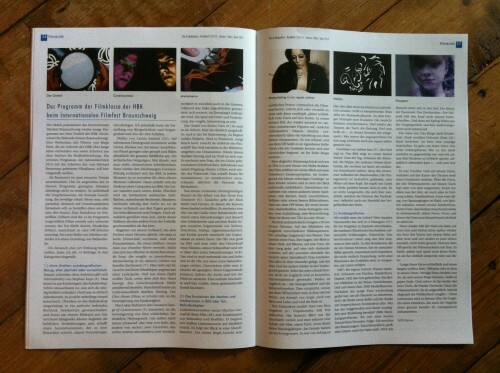 In the circular 112/113 (feb/mar/apr 14) of Film & Medienbüro Niedersachsen was a review by Willi Karow about the film program 2013 of Filmklasse – so also MimiMimikry. Copyright © 2019 mephisto19 - Photography, Text, Sound & Video.